During the last week of June, we welcomed a group of friends from Thailand and Vietnam along with the steaming hot summer air. In cooperation with Books from Taiwan, Taiwanese publishers grasped this rare chance to impress our guests with interesting stories and beautifully made books. by Kuramoto Tomoaki. English translation by Canaan Morse. To what extent can a fictional novel change reality? The question engages the concept of the novel on its most fundamental level of significance. Egoyan Zheng’s Ground Zero provides an answer to that question based on the complex relationship between “reality” and “fiction.” After the March 11th earthquakes visited Japan with the “reality” of nuclear crisis, many authors gravitated toward dystopian settings of terror and despair. By contrast, the anti-nuclear Ground Zero employs a “realism” in its description of space and human events that attempts to change “reality” through “fiction,” and to break through the established models of dystopian narrative. Maintaining support for anti-proliferation policy and working with readers to change our current “ground zero” is Zheng’s ongoing and uncharted project. The novel describes a futuristic Taiwanese society in which nuclear crisis has already changed daily life irrevocably, and yet established structures of power remain in effect. While the narrative may resemble dystopian science fiction, it narrates our past as much as our future. As a member of that greater “our,” I know that once nuclear non-proliferation laws acquire global legitimacy, international readers will be able to engage fully with this reading space. An author who can bridge the divide between “reality” and “fantasy” through metafictional narrative tactics can help readers change a society in love with nuclear power (the events and spaces of this novel mirror those of contemporary Taiwan almost exactly). This sort of narrative strategy will continue to call readers to its space and to its cause. I’m confident that the most suitable readers for this unfinished narrative project are “the sons of the atomic bomb” of Hiroshima and Nagasaki. I also believe that my responsibility as a translator is to introduce as well as participate in this project. The concrete process of translation revealed several differences in “reality” between Japan and Zheng’s Taiwan. Perhaps Japanese readers will be able to continually engage with the novel’s plot, and thereby engage with this project of reception and creation. In Ground Zero, Egoyan frequently notes the deeply flawed construction of the Lungmen Nuclear Power Plant. The wreckage left by that plant symbolized not only the shadow of Taiwanese martial law, but also the rise of Japanese and American imperialism. After martial law ended, the Taiwan Power Company ignored widespread civilian protest marches, as well as strong opposition from the Taiwan Environmental Protection Union and the Oversight and De-Proliferation Association, and proceeded with construction at Lungmen. In the end, General Electric won the rights to construct the plant, while Toshiba and Hitachi designed the reactors. Both of the Lungmen plant’s reactors were designed and built by Japanese state-owned enterprises, and constituted a rare success in the nation’s new mandate to “develop nuclear power solely for peaceful purposes.” The deeply flawed Lungmen plant was, therefore, the mutant offspring of a hegemon that dictated other nation’s nuclear policy (America) and a country that had once felt the effects of nuclear development before transforming into a nuclear provider itself (Japan). Japanese readers will not fail to sense that the exposure of government power structures following the nuclear crisis in Ground Zero invokes comparisons to Japan after the March 11th disasters; Egoyan’s satirical portrayal of the government that carries on with old nuclear policy after a disaster like nothing has happened obviously bears directly on Japan’s case. Hochen Duanfang, chairman of the previous Executive Yuan’s Nuclear Safety Committee, leads a team of commandos to the disaster site knowing full well that radioactive wastewater has made it into drinking water reservoirs. Yet he fakes a sudden discovery, ensuring his mission is a success, and he rides the subsequent wave of national fame into a candidacy for president of the ruling party. Similarly, the Japanese government claimed that its crises had been “totally unpredictable,” and protected executives in the Tokyo Power Company from legal liability, all while strongly pushing the commercial benefits of nuclear power. Perhaps the nuclear policies implemented by Japan then were even more damaging than those described in Egoyan’s novel. The fifteen “commandos” who ventured into the disaster site will also stir memories among Japanese readers of the “Fukushima Fifty,” the employees who remained at the Fukushima disaster site who supposedly volunteered to remain in the disaster area and contain radiation. As the number of victims rose to thirty thousand, most of those who were working in radioactive areas turned out to be temporary employees, not “heroes” from the Tokyo Power Company. Takahashi Tetsuya, a professor of philosophy at Tokyo University who researched how the Fukushima Fifty became so-called “great martyrs of the Japanese nation,” pointed out that Japanese nuclear policy was a predatory institution that required the sacrifice of others in order to operate. It was only after the truth could no longer be hidden that the government began trumpeting the “great martyrdom” of the Fukushima Fifty through mainstream media, in order to keep themselves and the Tokyo Power Company from assuming responsibility. On some level, Egoyan’s “commandos” present the post-crisis Japanese government in cameo, thereby effecting a bitter satire of an institution ripe with contradiction. The Japanese version of Ground Zero is forthcoming this March from Hakusuisya Press. As the translator, I hope Japanese readers find in it an entry point through which to engage with with Egoyan’s unfinished project to influence reality through fiction, and end Japan’s fateful marriage with nuclear power. Reviewed by Wolf Hsu. English translation by Gigi Chang. Chan Ho-kei’s The Borrowed is full of surprises. The Borrowed is a crime novel by Hong Kong writer Chan Ho-kei. It contains six novellas that can be read individually, but reading them together gives the flavor of a full-length work. The six stories share the same protagonist, and the book starts in 2013 before gradually rewinding back to 1967. The reverse chronology not only reveals how certain characteristics of the protagonist Kwan Chun-Dok came about, it also gives us a glimpse into some of the changes that occurred in Hong Kong under the British government rule and communist China. When I read the first chapter, ‘The Truth Between Black and White’, I had yet to realize all that. Chan mentioned in his Postscript that this story was written for Mystery Writers of Taiwan’s short story competition. The competition’s theme was ‘armchair detective’. This is a classic set-up for detective fiction, where the detective does not take part in the physical investigation, but steps in when associated characters have gathered all the information but are unable to work out the truth. The detective then uses their watertight logic to connect different threads and unveil the mystery. A lot of writers don’t like writing to a pre-specified theme, it feels constricting. Yet, sometimes it is a great way to fire up the imagination, and this is where Chan dazzles. The story starts with Kwan Chun-Dok, a long-retired police detective, bedbound by illness. His ‘disciple’ Inspector Sonny Lok comes with information about a murder case and the people related to the case. But Kwan is grievously ill and has lost his ability to speak, he can only indicate ‘yes’ or ‘no’ on a computer display as Lok explains the situation and questions the people he has brought along. This set-up seems to have pushed ‘armchair detective’ to its extreme; the detective can’t move or ask any questions, he can only propel deductive reasoning forward by responding in the most basic dichotomy. But in the latter part of the story, readers find out that the whole premise has been a trap. They realize what it has all been about. If you knew about the competition parameter, you might think that the move goes against the principle of an ‘armchair detective’ story, but Chan changes course once more just before the finale. Not only does he reveal the shocking truth behind the trap, he also makes sure everything falls back into place, slap bang on theme. Chan shows his familiarity with classic forms in detective fiction in the skillful way he incorporates and spins them in the stories that follow. In the second story, ‘Prisoner’s Dilemma’, the retired Kwan is acting as a special consultant to the force when Sonny Lok, newly promoted to Inspector, receives a video of a murder. As the police look into the video and the crime, the story draws out the rivalry among triad members and comments on the complex relationship between Hong Kong’s entertainment industry and the criminal underworld. The third story ‘The Longest Day,’ is set on Kwan’s last day before his retirement, when his team are faced with two cases: a sulfuric acid attack in a busy street and the escape of a resourceful criminal seeking treatment at a hospital. Kwan is not supposed to do any work that day, but he decides to drag Lok along, who has just been promoted to Sergeant, to ‘look into’ the chemical attack, and resolves both cases speedily before he finishes his last full working day. In the fourth story ‘The Scales of Themis,’ a gun battle breaks out as undercover police are about to arrest suspects. Looking into the shoot out, the story reveals unspoken tensions between police officers and within the power structure, as well as Hong Kong’s unique urban landscape. The fifth story, ‘Borrowed Place,’ may be about a kidnapping on the surface, but the detective work exposes disciplinary issues in the force and shows the daily life of the British in Hong Kong and how local Hongkongers view these ‘outsiders’. The sixth and final story, ‘Borrowed Time,’ is very intriguing: the narrative turns from the omnipresent third person to the subjective first person. It’s about an ‘I’ who does odd jobs for a living, stumbles across a bomb plot and helps a young beat cop numbered ‘4447’ to solve the case. It’s not just a nerve-wrecking search for a ticking clock, it also shows a side of Hong Kong we may have never heard about. Most of these stories have the underlying mystery-solving structure of classic detective fiction, but they are not confined by the format of ‘Incident occurs  investigation ensues  detective joins in  case is resolved.’ The main event that requires the protagonists’ deductive reasoning sometimes only occurs halfway through the plot. The time and place of each story also bear some significance to Hong Kong’s history. The first two are set after Hong Kong’s handover, sketching the changes in the triads, showbiz and the police force brought about by the new political reality. The third story occurs in 1997 before Hong Kong was handed back to China; Kwan’s retirement mirrors the era’s impending transformation and it paints public duty officers’ reactions to the sovereignty change. The fourth story has all the features of a police procedural: though the police are united by their uniform, they are individuals trying to get what they want and coping with their own emotions. The fifth story reflects the cultural and class conflicts between the British and Hongkongers. And the last story is against the backdrop of the 1967 Leftist Riots, when communist sympathizers rebelled against the British government, a period of uncertainty that embroiled many and left a legacy. In other words, though the main body of Chan’s story has a tight hold of the thinking behind the classic whodunnit, its plots and settings ambitiously reveal the scope of the American hardboiled or Japanese ‘social school.’ The focus isn’t only on the cases; they reflect the zeitgeist as well as the complexity of human nature, while sketching out the sights of the city. This is a Hong Kong story written by a Hong Kong writer – the stories are rooted in the city’s environment, but the content entices readers who don’t live in Hong Kong to keep turning the pages. At the same time, reading the six novellas together amounts to another point of interest. Readers don’t find out the real identity of ‘I’ until the very end. This set-up not only links the six stories into a coherent novel, it also makes the protagonist Kwan Chun-Dok much more rounded. In classic detective fiction, the detective usually experiences relatively little personality change, he or she thinks calmly and finds a way through the maze of events and relationships. But Chan lets his reader into the key turning point that shapes Kwan’s personality, making this detective more than just a logical, unerring ‘thinking machine.’ He is a person that changes and grows with the events that go on around him. He is someone who carries through his resolutions. When I read this book, Hong Kong’s ‘Umbrella Revolution’ was taking off. The fictional Kwan’s meditation on police identity versus reality triggered much personal reflection. Looking at it purely as a reader, The Borrowed is a brilliant detective novel. But commenting on it more selfishly, this is a book that I think all writers in Chinese, myself included, should pay attention to and think carefully about. How to get close to readers, how to portray the characteristics of the societies that we know so well, how to use genre structure to tell a story but not become restricted by it, these are important issues we should think about. There is a sense around the publishing world that a major bestseller is hiding somewhere in China, the one book that can race to the top of English language charts. So far, however, it has proved elusive. Chinese literature in English generally falls into the ‘important’ rather than ‘popular’ category, alongside eating kale and drinking green juice, reading Chinese literature in English can often feel like something that is done because it is good for you, rather than for the simple pleasure. Penguin Random House sells imported US and UK books into China, and partners with local publishers to co-create Chinese language books. More than anything else, however, it is our work to publish Chinese books in English that I am called upon to discuss. Penguin opened its first China office in Beijing in 2005; today, we employ twenty-two people in three Chinese cities. Back in 2005, before we had established a legal entity or found an office space, my boss asked me to get started by looking for a Chinese novel that could be translated into English. The idea was to emulate the origins of Penguin in India more than twenty-five years ago, who made their mark signing up a slew of major Indian writers who went on to become household names in the West. It felt like the right way to get started in China, in part because there was an interest in finding stories from China, and also because it felt important that our business was not a one-way traffic of books from the West to China, but a genuine two-way. A novel called Wolf Totem 狼圖騰 by Jiang Rong 姜戎 was a surprise bestseller in late 2004, and by April 2005 it was firmly established at number one in the bestseller charts. It was no hidden secret, it was piled high in every Xinhua Bookstore. Its fans were college students, business executives, young girls—the novel was read and interpreted differently by a wide range of readers. I had been working for Penguin for one month when I bought myself a copy. I read it, talked to friends who I knew had read it, and I thought it was something really interesting and quite different. I also liked the idea of publishing something that was not ‘banned in China,’ but rather ‘big in China.’ I managed to get hold of the author (Jiang Rong is a pen name and at that point his true identity had not yet been revealed online) and when I said I was calling from Penguin he was very enthusiastic. He was keen to sell his book to us, but as this was my first book deal I wasn't sure how to negotiate the next step of actually buying it. That was how it ended up with our CEO making the deal, face to face, on a visit to Beijing, in the executive lounge of a hotel. Jiang Rong spent an hour telling amazing stories about baby wolves, ancient cultures, incredible encounters, and sold my colleagues on the ideas that were captured in the book. It was an unusual way to buy a book, none of our international colleagues who would be responsible for publishing the book had been involved in the acquisition, but it was just a wonderful story that felt like the right thing at the right time. From the moment we signed Wolf Totem it created a lot of buzz internationally. Partly, it was because it was such a Chinese story—life on the grasslands of Inner Mongolia in the 1960s and 1970s—and it was revealing of a very romantic time and place that Westerners really didn't know anything about. Equally importantly, it was a story with many universal themes—humanity versus nature, tradition versus modernity, threats to the environment, not to mention one man's relationship with an animal—that made the story feel much more accessible than a lot of Chinese literature. In many ways, Wolf Totem benefitted from timing: Penguin was the first English language trade publisher to set up an operation in China and, as such, it became a talking point for people interested in understanding the local literary and business scene. It raised our profile locally, as Chinese readers were proud that such a popular work was being embraced overseas. But it also raised expectations from Chinese authors, who hoped we would keep repeating this trick and that everything we bought would generate the same degree of buzz, which of course, was just not possible. Since that acquisition in 2005, the process has evolved over time. Nowadays, we acquire the rights to Chinese writers that range from literary celebrities to genre writers and classic authors. We don’t look for authors who ‘represent China,’ but works that we believe tell a great story that has appeal beyond the Chinese context and setting, writers such as Sheng Keyi 盛可以 and He Jiahong 何家弘. Sheng Keyi writes wonderful novels about loss of innocence, whereas He Jiahong writes rich and detailed crime stories with forensic and authoritative insider detail. We enjoy publishing books that will challenge readers' expectations about the subjects that Chinese writers are prepared to address. When we published the officialdom novel The Civil Servant's Notebook by Wang Xiaofang 王曉方, we heard from various quarters that it was an unusual choice. From my point of view, I think it was a wonderful project to work on. This novel—fiction that deals with the inner workings of the Chinese political system and examines how corruption can move through the ranks—could only be written convincingly by a Chinese insider and this is precisely the kind of story that should be translated for readers in other cultures. Our goal was to publish it along similar lines to the books of Andrey Kurkov such as Death and the Penguin; absurdist, satirical, strange, and distant, yet with connections to the known world. While Wolf Totem was the most famous book of its time, we are as willing to buy small, unknown books as we are to acquiring major bestsellers. A book's popularity in one country does not guarantee it success in another, and books unknown at home can strike a chord elsewhere. Selling the first works by Chinese authors in foreign translations is highly challenging, even if that writer is a major name at home. Literary festivals are critical in establishing new authors in Europe and Australia, but with non-English speaking writers their participation is limited and complex. Journalists and broadcasters rely on people being available—a writer who can take a taxi across central London to join a BBC discussion about recent events will be chosen above someone who must be hosted by satellite link from halfway around the world. Bookstore signings—small, intimate events—are scheduled at the last minute and at very low cost. For the Penguin China list, we have looked at what readers have responded positively to and adjusted our publishing mix accordingly. So for example, with crime novelist He Jiahong, we realized that the greatest selling point was his expertise on anti-corruption and miscarriages of justice, so we published a non-fiction Penguin Special on his work with the Chinese ‘innocence project’ as a way to cross-promote and introduce him to a wider readership. We also had to accept that while being the first people to publish translations of Chinese literary fiction was a real pleasure, we needed some heavy hitters on the list as well. And so we recently published Nobel Laureate Mo Yan's newest novel, Frog in English. It's been almost ten years since we acquired the foreign rights to Wolf Totem and over that time, I have come to the conclusion that readers really don't care if a work is translated or not. They just want a great story. If it doesn’t appeal to them, they won’t read it. I have adapted the way I evaluate and talk about our books as a result, choosing to focus less on translation and more on the stories. Publishing has few certainties. Buying books from authors involves taking a calculated risk and even a book you are passionate about may fail to find a readership. I find myself thinking a lot about the Japanese writer Haruki Murakami and thinking about how he found such great success internationally. Of course, he's a wonderful writer, but I would guess that the majority of readers forget his are works of translation when they read his novels. While his stories could only take place in Japan—the country is very much a character in each story—you don’t read his books to understand Japan. And so, when I read a book from China and think about publishing it in English, I have to think: Do I care? Does it matter to me if they live or die, if the guy gets the girl, if it all ends well? Too often I don't care, I'm not invested in the story, and no matter how accurately it portrays life in China, it will not make up for the sense that the story doesn’t speak to me on an emotional level. I look for books that take the reader on a journey and, more than anything else, I look for the books that I myself want to read. I first visited Taiwan in 2012, when I was editing the Hong Kong-based Asia Literary Review (ALR). 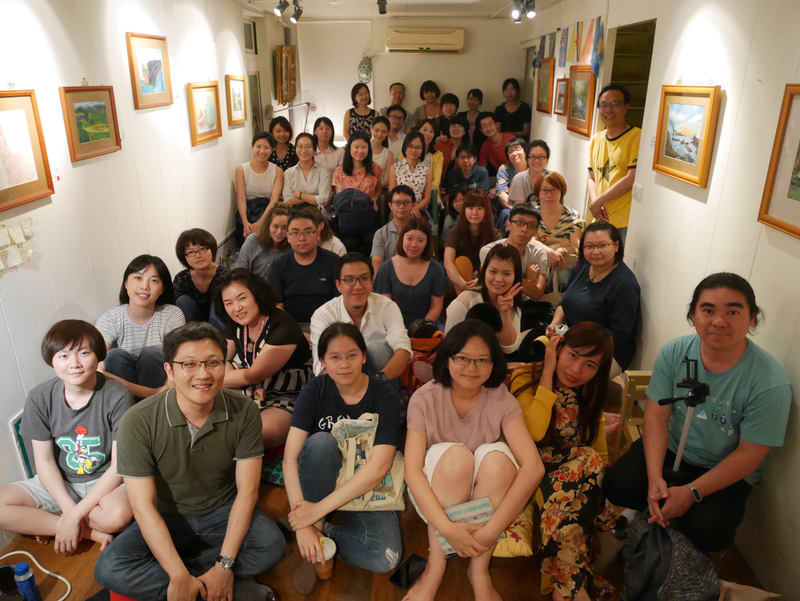 I was encouraged by the enthusiastic literary culture in Taiwan, by the eclectic taste and appetites of Taiwanese readers, and of the open-24-hours phenomenon that is Eslite bookshop/department store/shopping mall—every bibliophile’s dream come true. In 2014 I visited again not as an editor but as an agent and founder of the Asia Literary Agency, representing Asian authors, experts on Asia and writers living in the region. After spending several years in London working as an editor of fiction and non-fiction, both in-house and freelance for the likes of the venerable Weidenfeld & Nicolson (an early proponent of literature in translation), Virgin Books, Constable & Robinson and Granta magazine, I moved with my husband to Hong Kong in July 2011. As it turned out, Granta had put in a good word for me with the ALR, who rang up and asked if I’d like to join them as one of their new literary editors: a small team of three. I jumped at the opportunity. We were a good team: diplomatic, agreeable, and we turned our attention very specifically to what was going on in Asia. Martin Alexander, a poet and our editor-in-chief, commissioned mainly but not exclusively the poetry; my lovely colleague, Kathleen Hwang, a renowned journalist, and I commissioned most of the fiction and non-fiction. And though I had brought a voluminous crate-load of books from the UK, mostly from the Western canon, it sat there, unread, as I became captivated by another time and place. I wondered why we in the West were not reading more books from writers in the East? Especially now with Asia rising? We at the ALR had to find out who was writing what and who was published by whom, who was a rising star and who a member of the venerable elite: ‘from the Bosphorous to North Japan’ as Martin put it. So we started making friends, picking up the phone. We had a fabulous launch issue, focused on Korea, both North and South, including an interview with Shin Kyung-Sook, published just before she won the Man Asian Prize for Literature. When the ALR role wrapped up, a few authors approached me separately and completely out of the blue to ask if I’d represent them. Ah! I thought. Of course! Like most good agents I have a golden address book full of contacts and after a year of rolling up my sleeves at the ALR I had added pages to that with the many wonderful people I’d met working in the Asia publishing scene. It made sense and felt an entirely natural transition. It seemed as if everything I’d been doing with my life (including my former career as a Korean linguist, my love of introducing people, my ability to happily roll up my sleeves and get on with any job) had been leading me directly to this point. Luckily most of my authors write in English, which means we don’t have to worry about translation as an additional start-up cost. Nevertheless, and as Gray Tan has pointed out, this means that we do compete direct with American, Canadian, Australian and British authors writing in English. I’d qualify that: yes, we do compete, but my authors are writing from a different point of view and we aim to persuade editors and our readers living outside of Asia to look outside the bounds of their own environments and that of the familiar round of names we see again and again on the bookshelves and bestseller lists. Nevertheless, the story and the writing must be interesting enough to stand on its own, regardless of whether it is in translation or not, though it is true that those books that are translated are usually the crème de la crème in their native language or countries and present a very particular and relevant insight into their native socio-economic landscape. They also tend to enhance the English-language market with fresh, new and exciting voices within a particular genre; for example, the crime-thriller HANGING DEVILS by He Jiahong, the John Grisham of China. One of the greatest strengths and most wonderful things about Asian writers is that their scripts and ideas tend not to be influenced by the Western canon. But the fact is that, generally, readers in the West want to read something familiar, or if it is not familiar they want to be able to see it pyrotechnically multi-dimensionally without thinking they are having a history lesson. To many readers, and unfortunately also to many editors in the West, what’s going on in Asia now, the way people live in Asia now, whatever’s relevant to those of us living in Asia now, may as well be happening in outer space and/or a different dimension. And it is not only just because what Asian authors are writing about proves a challenging sell, but it’s also the way they write. For example, Indian authors, when focusing on their own audiences, tend to write prose that is denser and with a more intricately layered vocabulary than you’ll find in many literary novels published in the UK (perhaps with the notable exception of Will Self). Chinese writers too have a style different to writers in the West, in part shaped by the unique features of their language. So this is where a good translator will come in, influencing the tone and pace so that, while the essence of the story remains in tact, the flow of it becomes something more easily understood by English readers. 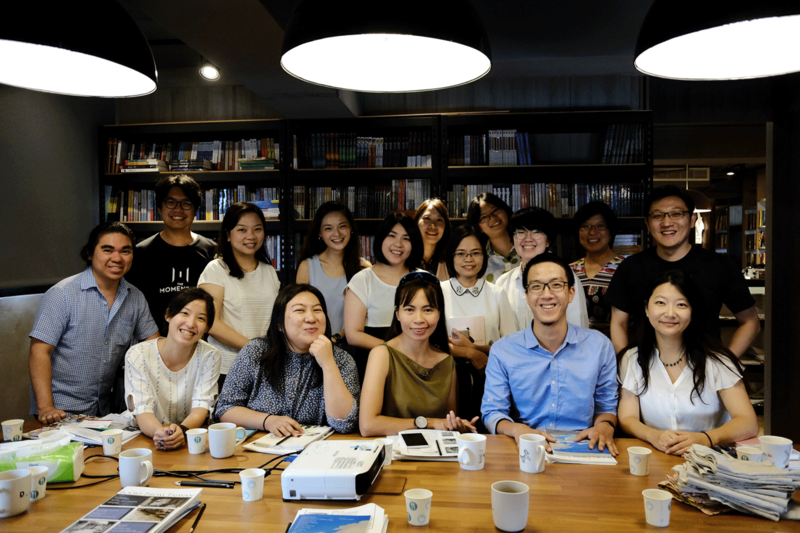 One minor challenge about being an agent in Asia, representing Asian writers, is explaining the agent’s role to authors, particularly in China and to some in South Korea, also. These two countries don’t have an agent culture like ours in the West, and the Chinese authors are incredibly wary, if not distrustful, of the term ‘exclusive’ in the agent-author contract. They worry they might lose control, or be taken advantage of. And I’ve found that many authors in South Korea believe that money equals success, in part due to the highly publicised advances achieved by the likes of Shin Kyung-sook, Jang Jin-sung and Hyeonseo Lee. So their initial reaction is that they are not interested in representation unless it means the promise of a lofty advance, that to be given anything less would be shameful. It takes finesse and patience to persuade them that the value of a deal is not only in the money but in the reputation of the publisher and that the value of an English debut can be unquantifiable, leading perhaps to bigger advances, an international profile, eligibility for awards, and/or more deals in other countries. You must understand the myriad social and cultural reasons behind this. With China it is only in part due to their scant regard for copyright, which means that authors are very often taken advantage of, with their works reprinted and sold without their approval; in Korea such regard for money is in part due to their new materialism, coming after years of real hardship and poverty. What is frustrating to me as an agent and as a voracious reader interested in other cultures, is that the West is still catching up to what’s going on in Asia now. I had three people ask me at Frankfurt last year if I had read FACTORY GIRLS by Leslie T. Chang, as if this brilliant yet eight-year-old book had just been published. Editors still seem to be looking for books about the Cultural Revolution and its consequences and about the dividing of the Korean peninsula, rather than what is happening NOW, when progress has been happening so quickly it’s as if it’s been in light years. The foreign editors wanting me to sell books into the East approach me with titles that are often totally inappropriate: why would the newly urban Chinese have any interest whatsoever in a book about the middle-class, second generation Chinese-American experience in America over the last fifty years? I would think that, given how China is and has been on an unprecedented upsurge, along with Korea and Taiwan, and how other Asian countries are in the midst of some of the most profound cultural and political changes in their modern history (one only need look at Burma, where censorship was allegedly and only recently lifted), that the West would be desperately wanting to read as much as possible, as quickly as possible, from this region to understand the new world order. Because it is certainly here. Not every book will work in translation. It is important to find the right books for the right countries and to work with people you trust and like. It’s a long game, and selling a script often takes a huge amount of effort, time and energy. We must all support each other, I think, in this most wonderful endeavour to introduce stories from other parts of the world. It is my hope that we become less and less foreign to each other, so that our stories become more familiar.